Composants inclus: 1 Caisse à Outils Vide. A voir dans nos évaluations. Utilisation: Professionnel. Numéro de modèle: 13340. Caisse solide en bois de bambou noble. Disponible en trois tailles. A voir dans nos évaluations. Anbieter Dark Dreams. EAN Nicht zutreffend. Größe etwa 19 x 7 cm. Marke Markenlos. effectuée par plentyMarkets. Ceci a pour conséquence que la patine ou des signes de l'âge sont délibérées. Chaque objet est donc unique. Style Style antique. Matériau Bois, cuir synthétique, métal. Droit de rétractation. Conditions générales. Coloured plastic A4 storage boxes, each designed to hold a ream of standard copier paper. These coloured boxes are translucent so you can still see the contents when the boxes are closed. This box is manufactured in the UK in translucent polypropylene plastic. 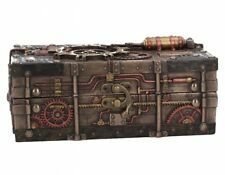 Steampunk science-fiction boîte boîte coeur mécanique boîte. Anbieter Dark Dreams. EAN Nicht zutreffend. Größe etwa 15 cm. Marke Markenlos. effectuée par plentyMarkets. (length x width x depth in mm). Anbieter Dark Dreams. EAN Nicht zutreffend. Größe 17,5 cm. Marke Markenlos. effectuée par plentyMarkets. Sass & Belle Set of 3 Multicoloured Suitcases Storage Boxes Suit Case. Very convenient low rectangular box ideal for keeping your wet wipes or even your dry tissues. Easy open and close lid. Yellow base with red lid and blue cap. • avec des coins de métal sur les bords de couvercle. Poignées de transport sur le champ de l'étiquette avant et arrière et. Länge 33 cm. Marke Zeller. Ensemble avec. • Très bonne finition et qualité. Boîte de couture grand, petit avec un couvercle en verre. Couleur: blanc / gris. Matière: bois / verre. Zeller cardboard storage box, green. Practical storage box made of sturdy green cardboard with integrated labelling field. We are here to help! For 20 CDs with small cases. Storage box made from sturdy cardboard, with space for labelling, lid reinforced on the corners, foldable. Ikea ANGELÄGEN Storage Box – Multicolour. If the box gets dirty, you can wash it by hand in cold water, 30°C. Easy to pull out, lift and carry since the box is made of lightweight textiles and has handles on the short sides. 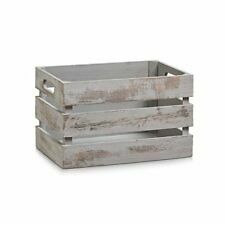 These stylish decorative boxes can be used in any room of the house. |Ã¯ Hygienic and easy to clean. |Ã¯ Long lasting. |Ã¯ Designs to suit all tastes. Easy to clean, washable & durable. |40x30xH23cm. 30 bacs durable en plastique bleu & orange. Les bacs s'empilent. 12 x bacs: profondeur: 16cm x largeur: 10cm x hauteur: 7.1cm. 18 x bacs: profondeur: 10cm x largeur 9.5cm x hauteur: 5cm. Domopak Living 8001410071965 Disney, Cardboard Box with Handles, multi-coloured, 50 x 39 x 24 cm. Made from a strong Cardboard with plastic handles. Disney Frozen Design. Size: 40x50x25cm. Perfect for kids bedroom, playroom for storing toys, clothes etc. 1 x Curver Deco Box. Durable, lightweight and easy to clean with a 22 Litre capacity. A contemporary storage solution for your bathroom, kitchen, Living room, office or study areas. Add to Favorite. Box Contains. Our products connect usage with beauty and they convince by their challenging quality. Sturdy box made from bamboo. Storage Box. We stand behind our products. Add to Favorite. Box Contains. We do our best to process as quickly as possible. 1 x Zeller Dots 17890 CD Storage Box 16.5 x 28 x 15 cm Cardboard. Practical, high quality CD box made from cardboard - space for 20 CDs with cases. CD box, cardboard. We stand behind our products. Our products connect usage with beauty and they convince by their challenging quality. Material: bamboo wood. Storage Box. This practical box has many uses and is striking with its natural, high-quality look. Magazine files storage box. Our products connect usage with beauty and they convince by their challenging quality. Add to Favorite. Box Contains. We're happy to help. Handles included. 1 folded box plastic handles. Our products connect usage with beauty and they convince by their challenging quality. Material: Pine. Add to Favorite. Box Contains. Multi-Purpose Box. We do our best to process as quickly as possible. The A4 Box Stak storage unit is a great value space-saving craft storage solution and an easy way to stow your WestonBoxes A4 Storage Boxes. The Stak design enables easy access to all boxes allowing for optimal organisation of your A4 paper and card, envelopes, office accessories and stationery. 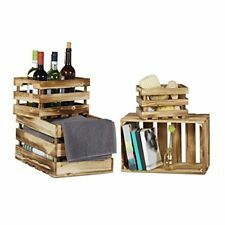 Zeller Boîte de rangement, bois, multi-couleur, 15x15x6.5cm. Our products connect usage with beauty and they convince by their challenging quality. Box Contains Storage Box. 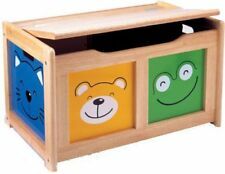 Zeller "Kids CD-Box, Wood, Multi-Colour,16.5 x 28 x 15 cm. Material: Wood. Date First Available: 28 Nov. 2012. Model Number: 17850. For 20 CDs with small cases. Zeller MAGAZINE Dossier Boîte de rangement, bois, multi-couleur, 23 x 9 x 31 cm. Zeller Magazine Files Storage Box 23x9x31cm, Wood, Multi-Colour, 28 x 28 x 13 cm. Our products connect usage with beauty and they convince by their challenging quality. Box Contains Magazine files storage box. The smooth toy can be rolled on its side and moved as it it play delightful musical notes. A brightly coloured music box for your baby. Watch as the shapes rotate around the music box. Plays soothing music to help calm your baby. Numéro de modèle: 13192. Matériau: bouleau. Bouleau naturel. Box Contains 1 x Zeller Dots 17890 CD Storage Box 16.5 x 28 x 15 cm Cardboard. Zeller "Dots CD-Box, Wood, Multi-Colour, 16.5 x 28 x 15 cm. Material: Wood. Date First Available: 16 May 2012. Model Number: 17890. Magazine files storage box. Our products connect usage with beauty and they convince by their challenging quality. Box Contains.